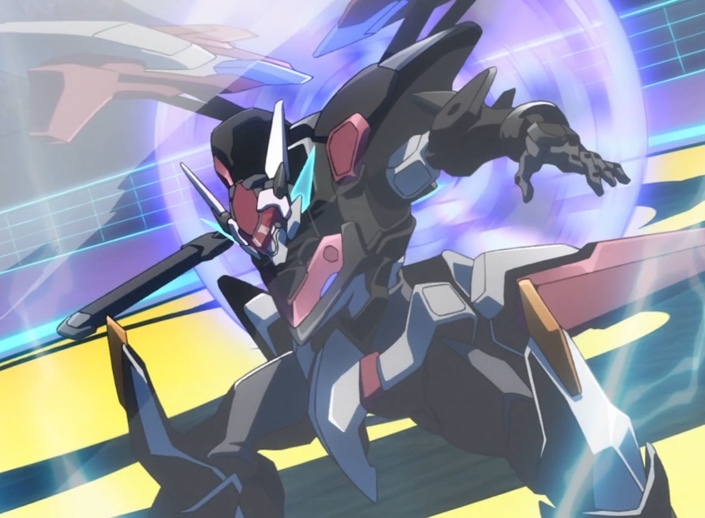 In The Asterisk War episode 17, The Tyrant’s Puppet Strings, Sasamiya Saya and Toudou Kirin go flat out against the two artificial life forms RM-C and AR-D. Also, we see Flora Klemm converted from a maid in waiting to bait! Amazon has some cool Asterisk War merchandise. Please check it out! Saya and Kirin continue their battle against RMC-C and AR-D from the last week. Kirin had gained AR-D’s respect in the last episode and built on that respect this episode. In spite of her strengths, though, AR-D’s able to learn every move she makes, so each subsequent attack becomes more difficult. Saya, too, began to earn RM-C’s (more grudging) respect. As the battle progresses, though, the artificial life forms wear down both Kirin and Saya. Flora’s kidnappers contact Amagiri Ayato and Julis Riessfeld with demands that Ayato seal his weapon, the Ser-Veresta. Otherwise, Flora might be done for. 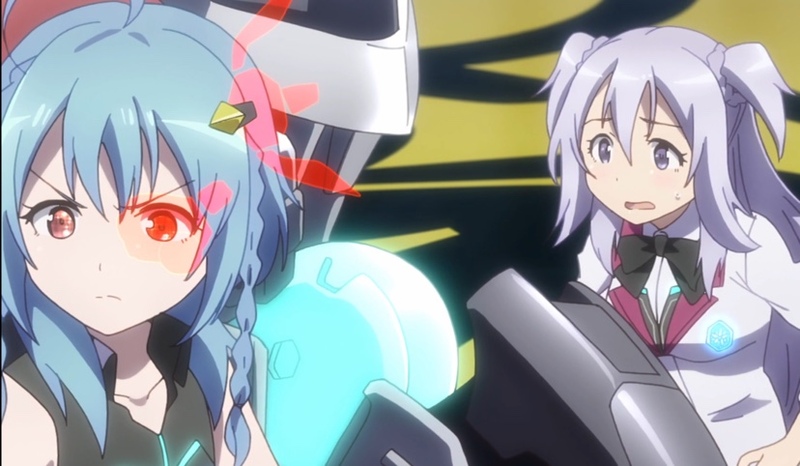 Once RM-C removed her limiter, Saya had a difficult time with targeting. Capture from the Crunchyroll stream. RM-C, shaking off Saya’s attack from last week, admits she feels humiliated that Saya landed a blow. In retaliation, she removes her limiter and attacks at her full strength and speed. In spite of that, Saya lands a hit. Unfortunately, that forced RM-C to reveal one her her secret weapons, the Ruin-Sharif, a combination spear and shield. Both of combatants fire simultaneously, and the blast nearly breaches the field protecting the audience. At the same time, Kirin used her tremendous speed against AR-D. The artificial life form was at first on the defensive, but his programming allowed him to grasp each of her attacks and defend against them. That meant she could use each attack only once. So, as the battle wore on, she found fewer and fewer of her strikes coming close to their mark. She counted on that, though. As soon as he felt confident enough to strike, she evaded, then lunged to strike his badge. But he was ready for her. He caught her blade in his helmet and let her slice the metal around his right eye. After all, he told her, he’s a machine. That damage can be repaired. Kirin’s disappointed in herself. AR-D asks RM-C to unveil their ultimate weapon, but she shuts him down, calling him a moron. Saya evades RM-C’s attacks as she analyzes the patterns and capabilities. Determined to vindicate her father’s designs, Saya changes her weapon’s mode, combining the two halves into a single more powerful weapon. RM-C accepts the challenge, increases Ruin-Sharif’s output to maximum, and fires. Saya’s rig deploys braces before she fires. The blast envelops the entire stage, destroys RM-C’s shields, and obliterates her left arm. Only AR-D projecting his own shield saved her. Kirin and Saya think they may have the upper hand, but RM-C consents to invoke the secret move that AR-D had asked for earlier. Basically, she sheds her luxes and AR-D adds them to his own armor. He becomes a juggernaut. Saya has to admit that he’s impressive, and AR-D laughs in appreciation. Then he begins his attack. They immediately realize that he’s not just a little more powerful now. His skills are the same, but the power is exponentially higher. Reasoning he must have some weakness or else he would have started the match with this power level, they attempt to divide and conquer. Kirin tries to buy Saya time for her weapons to re-charge, but AR-D’s counter attack was so powerful that it blew Kirin into the wall. He announces that they’ve earned his respect, so he’s going to attack at full strength. Kirin tries to rise, but it’s clear her right leg isn’t working well. In an attempt to take the blow and protect Kirin, Saya takes the lead as AR-D fires. Saya’s counter kept them alive, but they were forced back. Saya switches weapons, having run out of power to run her full rig. Saya and Kirin wouldn’t give up, but AR-D’s final form put him beyond their reach. Capture from the Crunchyroll stream. He expresses his admiration for them, then launches another attack. They attempt to strike from two directions, but they had already taken too much damage. AR-D won the match. Amagiri Ayato and Julis Riessfeld rush to the hospital to find Saya in complete denial and Kirin penitent. 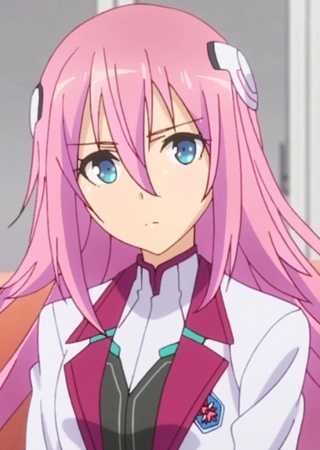 Julis tries to reassure them that she and Ayato will avenge them, and it’s only after some discussion that Saya accepts that. Claudia Enfield, the student council president of Seidoukan Academy, arrives and reinforces that she’s happy that Saya and Kirin made it to the semi-finals. Julis says she’s worried that Flora hasn’t joined them as planned. Julis and Ayato receive a call from Flora’s kidnapper asking for ransom. Ayato must divorce himself from his Lux, the Ser-Veresta. Otherwise, bad things might happen to Flora. Of course, if they try to contact the authorities or withdraw from the Festa, bad things might happen to Flora. When the kidnapper breaks the connection, Claudia explains that if Ayato attempts to put his Lux aside, it will never trust him again. Ayato, wanting to keep Flora safe, is ready to let it happen in spite of Claudia’s warning. Saya objects that there’s no guarantee that the kidnapper will let Flora go, so why don’t they just rescue her? Claudia accepts the idea and helps Julis understand that the risk to Flora is likely less if she’s rescued compared to leaving her fate up to the kidnapper. They begin a fake administrative process to divorce Ayato from his Lux. Given the kidnapper’s targets (Ayato and his Lux), Claudia figures out the culprit is Dirk through his clandestine intelligence organization Grimalkin. Saya and Kirin go out into the field to find Flora. When she fires her weapon, Saya doesn’t say, “Fire!” She says, “Kaboom.” I think that’s just adorable. AR-D, after his initial arrogance in the last episode, seemed truly delighted to fight against — and learn from — Kirin. I have to admit I’m beginning to like his character. I think I feel sympathetic to him because of how poorly RM-C treats him. Saya’s mecha had to deploy braces and stabilizers before she could fire her transformed weapon! 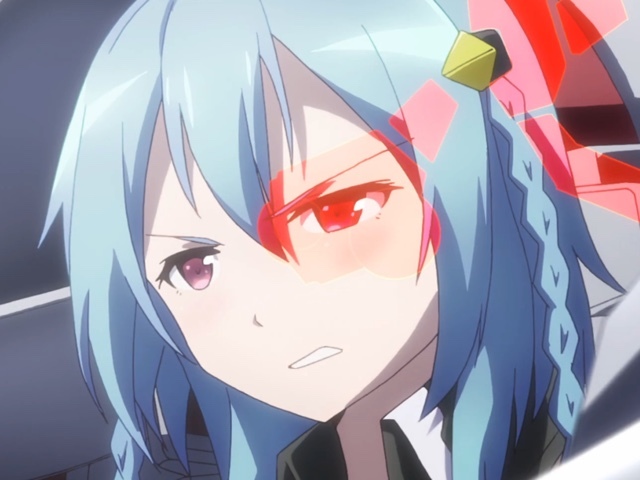 And then, had it not been for AR-D’s shield, Saya’s blast would have removed RM-C from the competition. I think that shows that her dad’s designs are not lacking! Saya’s taken with AR-D’s final form. Kirin, on the other hand… Capture from the Crunchyroll stream. In response to AR-D transforming into his “true form” by incorporating RM-C’s luxes, Saya said, “You look way cool!” I absolutely love Saya’s laid back way of looking at the world. When AR-D announced he was going to strike with all of his power, Saya said, “Okay, we might just be screwed.” Again, I adore her attitude. After surviving a strike that AR-D thought would kill them, he calmly watched Saya switch weapons before telling them that before this match, he would have thought that their continued fighting was futile. But now, he says he’s in awe. That attitude of respecting foes reminded me a lot of Song Ran and Luo Kunzhan from Jie Long Seventh Institute. Is it realistic? Do combatants in events like this really gain respect for each other? I’m not sure, but I hope so. AR-D was the complete opposite of Li Shenhua and Li Shenyun from the last episode, so I thought AR-D’s change was welcome. Yeah, I’m a sucker for honor. Ayato rushed into the hospital ward, very, very worried for Saya and Kirin’s safety. Saya reassures him that if only her badge hadn’t been broken, she still had “plenty in the tank.” All Kirin could do was apologize. I thought their attitudes were perfectly in character. So was how they were sitting — Kirin was leaning back against Saya. The two of them have come a long way since last season. Claudia tells Julis that, “…your fear of loss is excessive.” Coming from anyone else, that might have sounded hollow. But considering how much Claudia has had to lose and will yet have to lose, it carried some weight that even Julis felt. Julis isn’t used to the idea of having friends. She’s not sure how to react to Claudia and the rest. Capture from the Crunchyroll stream. Julis has had so many bad experiences that it’s hard for her to notice when she had friends. She seemed touched with Claudia, Saya, and even Kirin professed their friendship. This show has always had a good handle on the quiet, positive emotions between the characters. This episode drove that home again. I didn’t find much to complain about in this episode. It pretty much played to its strengths! This episode can be boiled down into two halves: Kirin and Saya fight brilliantly but get their butts kicked, and Julis, Ayato, and the others react to the kidnapper’s demands. Both halves had enjoyable moments, and for me, most of those revolved around Saya. Either she was calmly assessing her fate (“we might just be screwed”), or she was telling Julis to calm down and accept help from her friends. I don’t think Saya gets enough credit among her peers for the huge impact she’s having on everyone! Next week, we get to see how Saya and Kirin do in the field. If anything, it should be fun to watch!